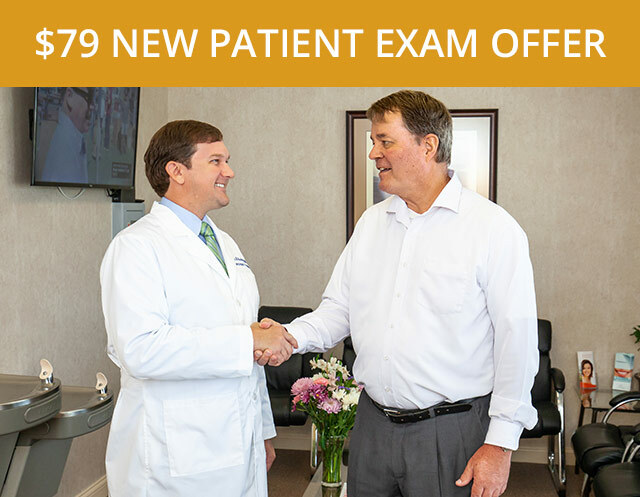 Dr. Blackenburg is a board-certified periodontist which means he is a specialist in the treatment of the gums and other tissues that surround and support the teeth. 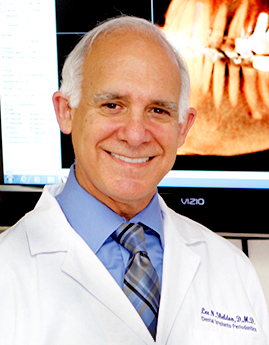 He uses the latest endoscopic technology to save teeth from the damaging effects of gum disease. In many cases, endoscopic treatment eliminates the need for invasive gum surgery. 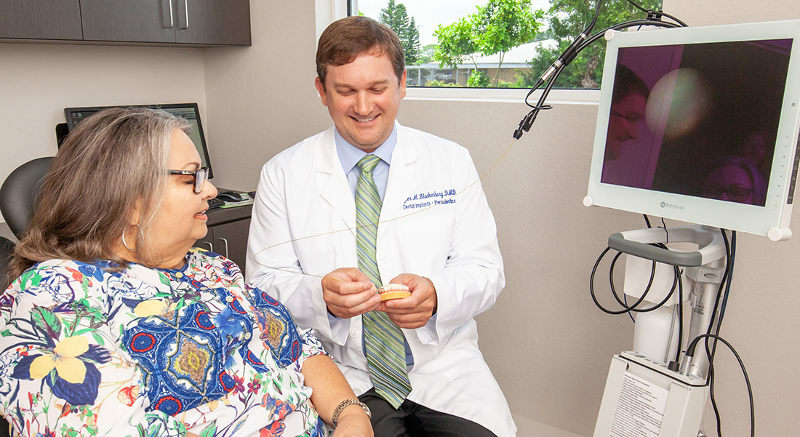 Dr. Blackenburg uses the revolutionary Perioscope, a tiny high-tech camera that gives him a magnified view of the area between the gums and teeth. This enables him to provide effective, nonsurgical treatment for all levels of gum disease. Dr. Blackenburg is one of only 200 periodontists in the United States currently qualified to employ this cutting-edge technology. Gum disease is a bacterial infection and inflammation of the gums that becomes worse over time if it is not treated. Irritation from bacteria, plaque and calculus (hardened plaque) causes the gums to withdraw and create “pockets” where more bacteria can harbor. The bacteria produce toxins that damage the gum and bone tissues surrounding the teeth. When gum disease progresses to an advanced stage, teeth become loose, and they can eventually fall out. To effectively treat gum disease, all of the bacterial infection as well as the plaque and diseased tissue has to be removed. Gum surgery is traditionally employed to flap back the gum tissue, exposing the tooth roots and allowing the doctor to view the plaque and diseased tissue and remove it. Even then, it can be difficult to see behind corners and completely clean out the infection. Treatment with the Perioscope provides a minimally invasive solution for these common treatment problems. The Perioscope is a tiny camera that is small enough to be inserted in the gum pockets between the gums and teeth. 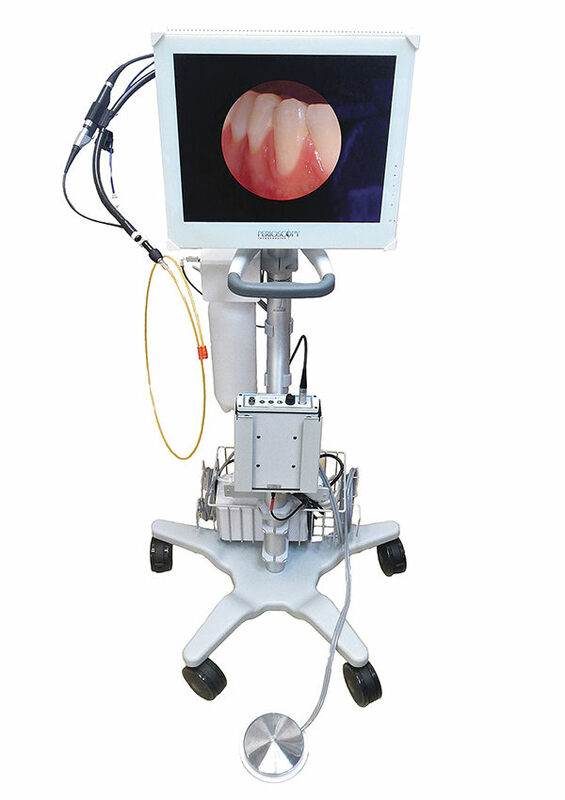 It is hooked up to a monitor and shows images of the diseased tooth roots at up to 48X magnification. This enables the doctor to see the diseased tissue in detail, and it is then removed using very small instruments. Dr. Blackenburg uses the Perioscope to provide thorough cleaning to treat the infection, often eliminating the need for surgery. As an additional line of attack, Dr. Blackenburg determines the exact species of harmful bacteria present in the patient’s mouth through a simple saliva test. This enables him to target those bacteria with suitable, species-specific antibiotics. 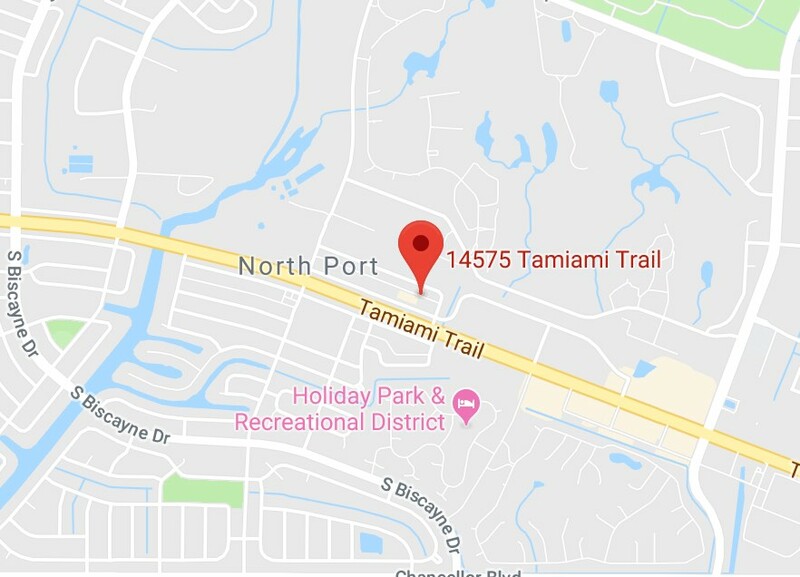 Our office is the only periodontal practice in the area that uses oral bacteria DNA testing. Perioscopy is no more invasive than a regular deep cleaning, and it only requires local anesthesia. Sessions take about two hours, and we will keep you comfortable with blankets and pillows. 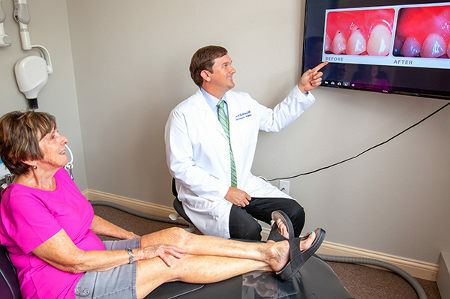 Dr. Blackenburg explains the procedure in detail beforehand and answers any questions you may have. 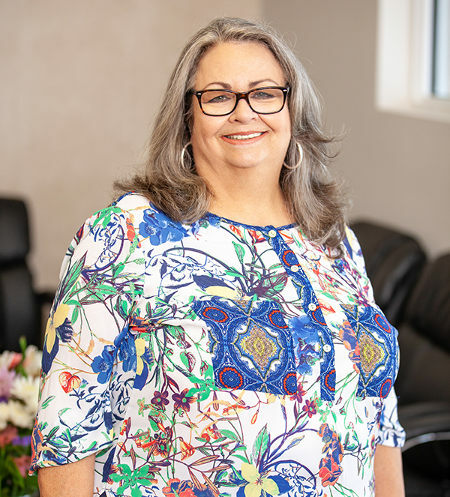 Because the treatment is nonsurgical and essentially consists of an extremely thorough deep cleaning, treatment with the Perioscope is also more economical than traditional gum surgery or laser-assisted surgery. During your visit, Dr. Blackenburg will take the time to show you how to keep your teeth and gums healthy between visits. If you are experiencing any of the above, Dr. Blackenburg recommends getting your gums checked as soon as possible. 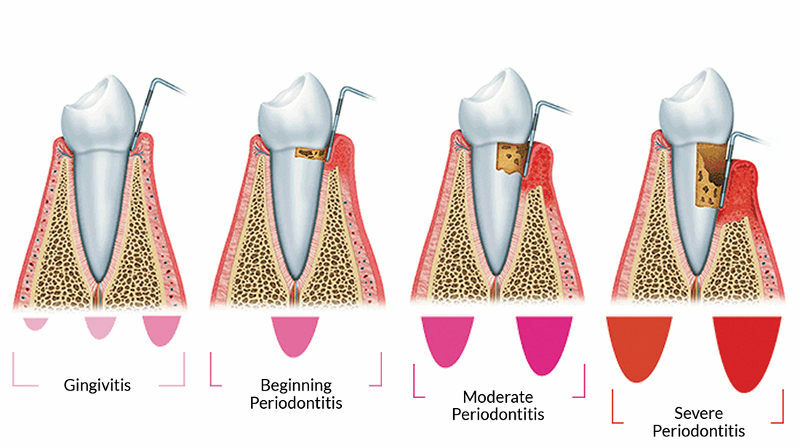 It is important to detect gum disease early and to treat it effectively and as soon as possible. The bacteria and other microorganisms that cause gum disease can travel to other parts of the body through the bloodstream and interfere with a person’s overall health. Gum disease has been associated with a higher risk of diabetes, cardiovascular disease and even certain types of cancer. Eliminating the infection is therefore not only important for your oral health—it can also have significant benefits for your overall health. “Dr. 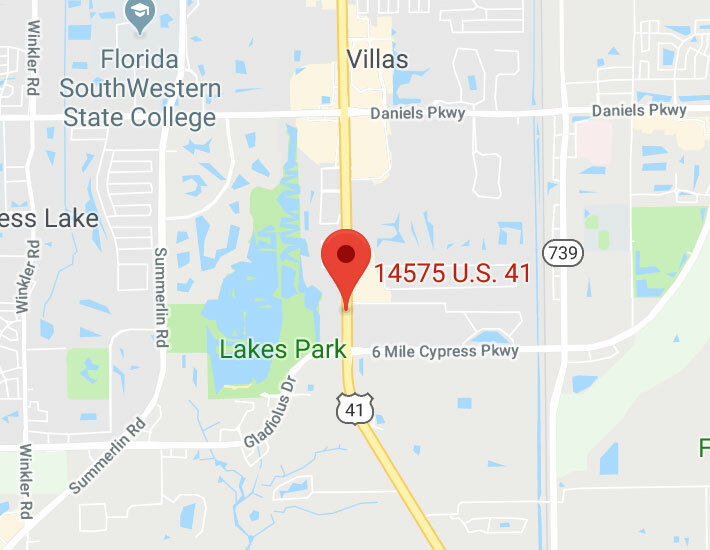 Tyler Blackenburg brings advanced periodontal and dental implant treatment to the North Port–Port Charlotte–Venice area. Some of the technologies that he has brought to the area are unique. In particular, the Perioscope, a tiny endoscope that is gently placed below the gumline that effectively reduces the need for periodontal surgery.